I am pleased to present a new Solo Travel Destination Post from Chen-Chi, a member of the Solo Travel Society on Facebook. 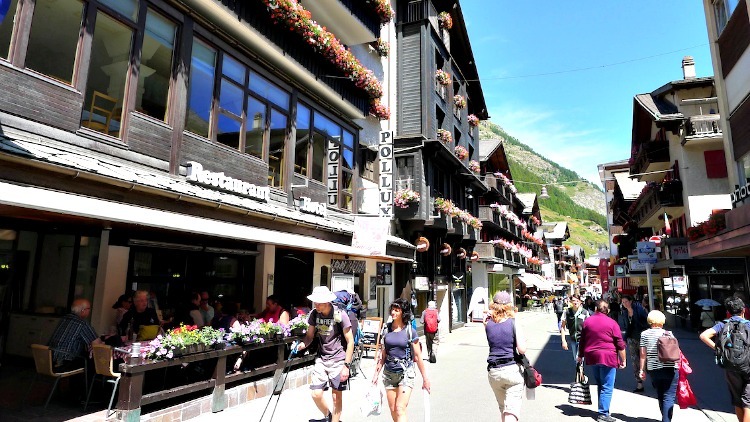 Chen-Chi is from Taiwan, and submitted the following report about her trip to Zermatt, Switzerland. Do you have a solo travel destination that you would like to recommend? Submit your description here, along with a few photos, and share it with fellow travelers! Switzerland, the safest country in the world, is a heaven for solo travelers–if we forget about the high prices of basically everything in this country. During my solo trip in Switzerland, I stayed four nights in Grindelwald. Zermatt was my last stop and one of the best. I arrived in Zermatt after traveling 3 hours from Grindelwald with transfers in Interlaken Ost, Spiez, and Visp. On the train I met a fellow solo traveler from South Korea. We met each other again at Gornergrat (the summit station of the mountain rack railway of the same name) and teamed up to visit Riffelsee together. I only saw the top of the Matterhorn on my way up to Gornergrat. A cloud persistently and irritatingly stayed around its pyramidal peak when I reached Gornergrat, the highest open-air railway station in Europe. The up-close view of the glaciers was stunning. Seeing the sublime Matterhorn, the iconic emblem of the Alps and the last conquered among the great Alpine peaks, was amazing. 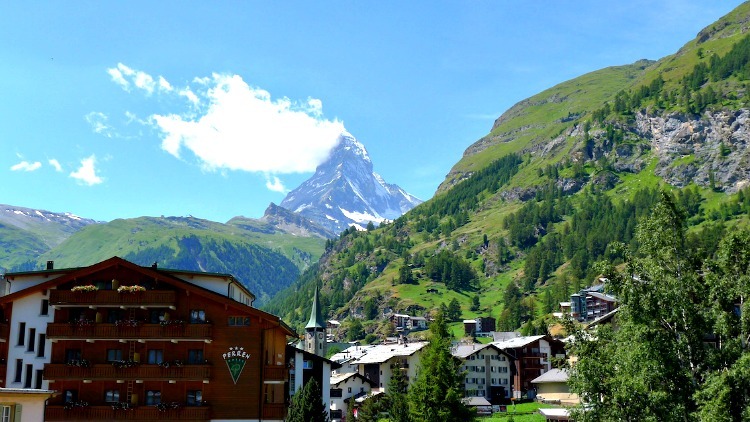 The Matterhorn Museum in Zermatt tells the tragic story of the first ascent of the mountain. On our way back down to Zermatt, we ran into some rock-looking sheep grazing the grass at the Rotenboden station. 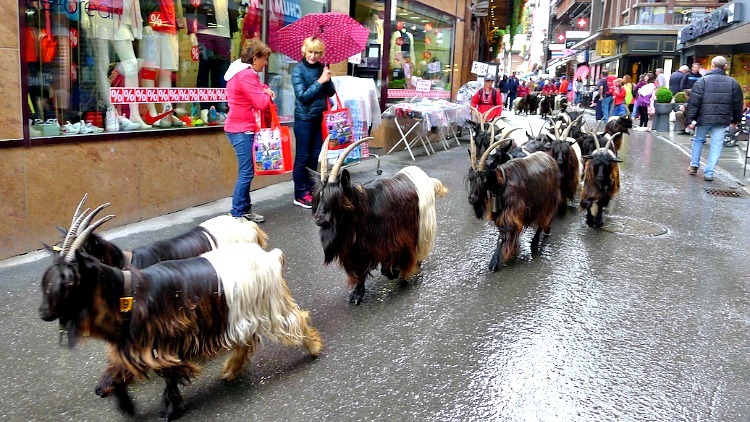 The next morning, I ran into the famous bunch of goats passing through Bahnhofstrasse (the main street of Zermatt) in the rain. It was a good thing they wore tinkling bells that caught my attention when I was strolling in alleys looking for Hinterdorf (old buildings, barns, stores, and stables in the old part of the village). It was one of the most interesting scenes I’ve witnessed during my trips and I couldn’t help following them. Hopefully, the next time I go back I will see the sunrise from the Matterhorn’s peak in good weather conditions, and run into the herd again when they are going to work in the morning!